First of all sorry for the pictures overload guys! I'm just in love with this dress, this location and all of the photos. You may remember I wore a similar dress for my engagement pictures: you can see some of them ON THIS POST and on my instagram. 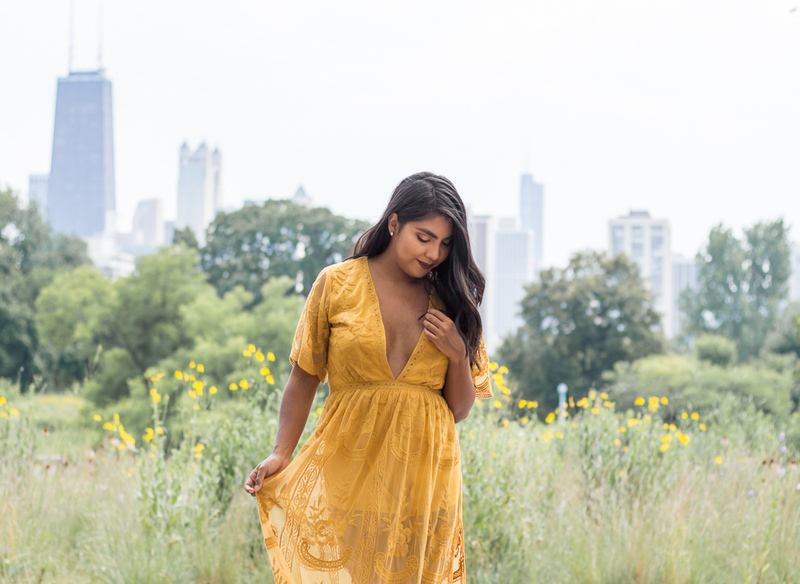 I fell in love with this mustard lace maxi romper from the very first moment I saw it on poshmark (yes on poshmark!) but It was quickly sold out and I couldn't find it anywhere after, so I ended up getting it in Wine instead ... Fast forward a year after my engagement photoshoot, Saved by the dress mailed me the dress (or well, maxi romper) that I tiressely looked for. 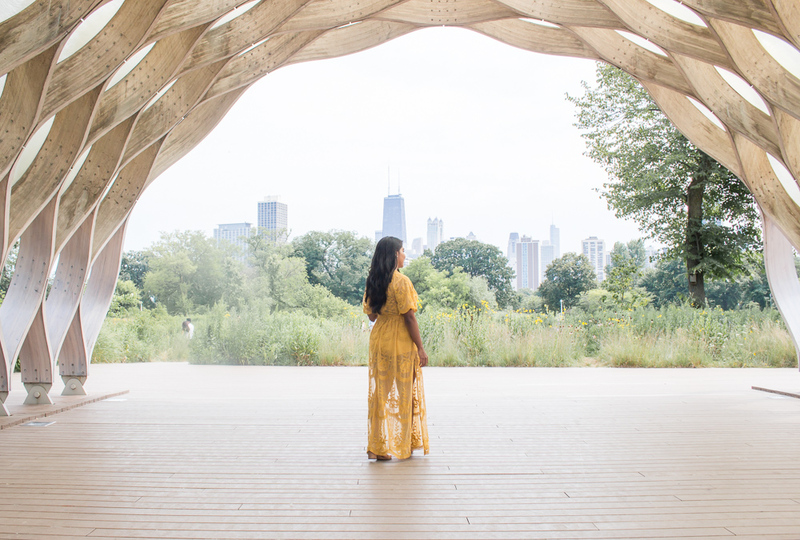 As soon as I opened the box the perfect location to shoot this pictures came to my head right away: " the honeycomb" at Lincoln park. We headed out there yesterday and managed to make this photoshoot happen while a family picnic, another fashion phothoshoot and a quinceanera session were taking place at the same location. I left there feeling we conquered the chaos! Hoy creo que los voy a aburrir con tantas fotos, pero de verdad que tenia muchas ganas de compartirselas porque me encanto el trabajo que hizo eric, el lugar y sobre todo EL VESTIDO! A lo mejor se acuerdan que utilize uno similar para mi sesion de compromiso, pueden ver algunas en este post y tambien en mi instagram. Cuando estaba buscando el vestido que usaria para ese dia encontre este "maxi romper amarillo" y me enamore, pero no estaba disponible en ese color en ningun lado y tuve que comprarlo en vino. Paso mas de un anio y finalmente lo tengo en mis manos gracias a Saved by the dress! Hace poquito me mandaron ese paquete y fui la mas feliz cuando lo abri y vi que lo que tenia adentro era el vestido que tanto habia buscado.